Pre-diabetes is a warning sign for diabetes. Early detection can make a difference. Take the first step to check your risk at letsbeatdiabetes.sg/dra today. 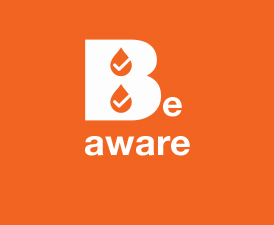 The Diabetes Risk Assessment is developed for those between 18 – 39 years old. If you are 40 years old and above, please see your doctor for a health screening (including pre-diabetes). Pre-diabetes describes a condition in which blood sugar levels are higher than normal, but not high enough to be considered Type 2 diabetes. In other words, it is the precursor to Type 2 diabetes. The good news is studies have shown that a few lifestyle changes, such as adopting a healthier diet, regular exercise and maintaining a healthy weight can reverse pre-diabetes, as well as reduce the risk of Type 2 diabetes. Type 2 diabetes is usually found in people aged 40 and above who are overweight and physically inactive. In some people, the condition is mild and they are able to control their blood glucose with just diet and exercise. However, if the condition gets worse, they may require oral medication or insulin injections in addition to making lifestyle changes. For those who are overweight or obese, losing weight can be significantly beneficial, even if it is a small amount. Usually diagnosed in children or young adults although it can occur at any age, Type 1 diabetes results when the pancreas no longer produces insulin. Hence, persons with Type 1 diabetes need insulin injections daily. Due to the hormonal changes in pregnancy, some women may show high blood glucose levels during pregnancy. These women require specialised obstetric care to prevent complications to the unborn child. In gestational diabetes, the blood glucose levels often return to normal after delivery. However, these women may be at an increased risk of developing Type 2 diabetes later in life. Diabetes can affect anyone. Knowing your risk of diabetes will help identify the changes you need to make to your lifestyle. While family history and age greatly affect the chances of pre-diabetes, being overweight, having an unhealthy diet and a sedentary lifestyle also increase the risks. Leading a healthy lifestyle improves overall health, and can slow or even reverse the development of diabetes. Diabetes is a ‘silent’ disease in its early stages, and you can feel perfectly well until complications occur. However, a late diagnosis can result in serious and irreversible complications that could have been otherwise prevented through screening. It is therefore important to get yourself screened even if you feel perfectly healthy and experience no symptoms, for regular health screening is the best way to detect diabetes early and obtain timely treatment. Screening for chronic diseases, including diabetes, is recommended under HPB's Screen for Life programme for those 40 years old and above. It is conducted through a fasting blood glucose test, done once every three years. If you are a Pioneer Generation cardholder, the screening test and the first post screening consultation (if assessed that a consultation is required) will be $0. If you are a CHAS cardholder (blue or orange card), you will only need to pay $2 for the screening test and the first post screening consultation (if assessed that a consultation is required). Applicable for both males and females aged 40 and above. You will only need to pay $5 for the screening test and the first post screening consultation (if assessed that a consultation is required). Applicable for both males and females aged 40 and above. You will only need to pay $10 (excluding GST) for the screening test. The prevailing doctor consultation rates will be charged accordingly by the respective CHAS GP clinics. *These rates are only applicable at CHAS GP clinics for the screening tests that are covered under the enhanced Screen for Life subsidies. 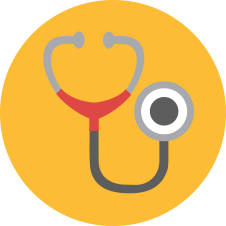 Health screening is available at many private medical clinics and polyclinics. Visit our directory for the list of screening locations, or click here to locate your nearest CHAS GP clinic offering SFL screening services. Learn more about the screening tests and subsidies you are eligible for at screenforlife.sg. Your doctor may conduct two types of blood glucose tests for diabetes. This is a blood test usually done in the morning, as it requires a fast of at least 8 hours before the blood sample is taken. An oral glucose tolerance test consists of two blood tests; the first administered after an 8-hour fast, and the second 2 hours after consuming a sugary beverage. 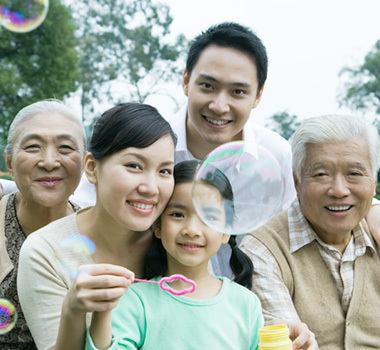 ​Medisave, MediShield Life, ElderShield and Medifund schemes can help Singaporeans offset their medical expenses. Additionally, under the Chronic Disease Management Programme (CDMP), persons with diabetes can also use Medisave to help defray part of outpatient treatment fees and reduce out-of-pocket costs. There are many myths about diabetes which people think to be true. This can be harmful as it leads to an incorrect understanding of diabetes. Get the facts below, and learn more about this chronic disease. Diabetes is caused solely by eating too much sweet food. Diabetes occurs when the body fails to produce enough insulin – the hormone responsible for reducing blood glucose levels. Although eating sweet food does not directly cause diabetes, a diet high in sugar and fat can lead to obesity, which causes the body to be less sensitive to insulin, thus increasing the risk of developing Type 2 diabetes. Unfortunately, diabetes is a chronic medical condition that has no cure. The good news is it can be managed with some lifestyle changes and, in some cases, medication. People with Type 1 diabetes are unable to produce insulin due to a disorder affecting the pancreas. They require regular insulin injections to control their blood sugar levels. Type 1 diabetes cannot be helped by lifestyle changes alone, but maintaining a healthy lifestyle is still important in keeping it in check. On the other hand, people with Type 2 diabetes are able to produce insulin, but it may not be enough or they become resistant to it. Lifestyle changes are crucial in managing Type 2 diabetes. Doctors may prescribe oral medication or insulin injections, or a combination of both. In contrast, pre-diabetes can be reversed with lifestyle changes. Diabetes is a chronic medical condition that has no cure. However, the condition can be controlled with lifestyle changes and, in some instances, medication. Persons with Type 1 diabetes are not able to produce insulin due to an immune disorder affecting the pancreas. That is why they require regular insulin injections to control their blood glucose levels. On the other hand, persons with Type 2 diabetes are able to produce insulin, but it may not be enough or may not work properly. Such persons may be prescribed oral medication or insulin injections, or a combination of both by their doctor. People with diabetes will eventually have their feet amputated. Amputation refers to the removal of a limb or parts of a limb (e.g. foot) as a result of gangrene or death of body tissues from poor blood flow. It happens in people with long standing diabetes that is poorly controlled. People who take care of themselves by going for regular check-ups, taking medication, and living healthy lifestyles can avoid such complications. People with diabetes should avoid carbohydrates at all costs. Carbohydrates are a main source of energy essential for metabolism and well-being. Instead of actively avoiding carbohydrates to control blood sugar levels, people living with diabetes should be more careful about the type and amount of carbohydrates they consume, as well as the time of consumption. 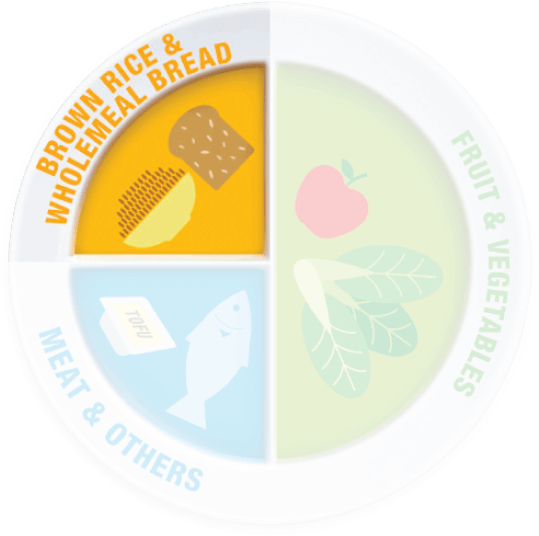 Diabetic individuals should get sufficient carbohydrates, preferably the complex type from whole grains like brown rice. They should also have their meals at regular times. People with diabetes can safely consume snacks that have “no added sugar”. Snacks and candies labelled “no added sugar” or “suitable for diabetics” may seem safer than regular snack food, but the sugar could be replaced by artificial sweeteners. Such snacks may also be higher in fat and calories than their regular counterparts. Always be aware of the ingredients in processed food and limit your consumption of foods that are high in fat and sugar. People with diabetes feel unwell. Not everyone with diabetes feels unwell. In fact, many people with diabetes do not have any symptoms, particularly during the early stages of the condition. They can have diabetes for months, even years, without knowing it. This is why it is important to go for regular health check-ups, so that you can detect the condition early. 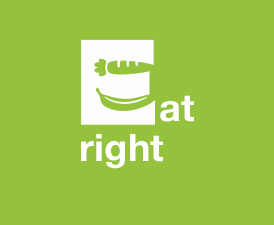 Consume a balanced diet rich in fruits, vegetables, wholegrains and low in fats and sugar. Pre-diabetes is not serious and I do not need to do anything about it. Don’t be fooled by the “pre” in pre-diabetes. The condition affects 1 in 7 Singaporeans and puts them at increased risks of developing Type 2 diabetes, heart disease or stroke. But it is not too late to turn things around and take control. Some lifestyle adjustments, such as committing to a healthy diet, including more physical activity and losing weight can do a lot in preventing or delaying the onset of diabetes. People with Type 2 diabetes can feel well and not experience any symptoms at all. However, there may also be symptoms that develop gradually and are sometimes so mild they go unnoticed. Being diagnosed with diabetes can be overwhelming. As a caregiver, you want to help your loved ones enjoy the fullest and healthiest life possible. 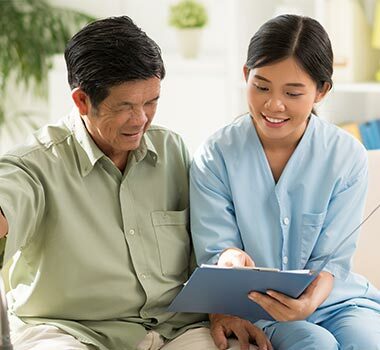 The first step to becoming a caregiver to your loved one is to learn as much as you can about diabetes and what lifestyle changes are needed. Going through the change alone can be daunting, so why not make the changes together as a team or family. 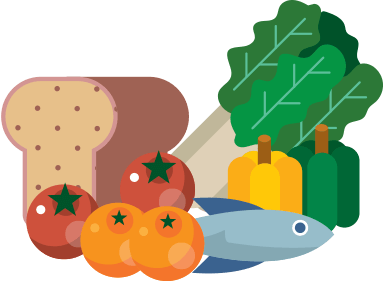 Exercise or shop for diabetes-friendly groceries together, then cook and have meals together. Many lifestyle changes that improve the health of someone with diabetes can also benefit everyone. Where possible, accompany your loved ones to their medical appointments. Listen, share, and ask questions to help your loved ones get the best care possible from the healthcare team. Finally, in the process of being a good caregiver, don’t forget to take care of yourself too. Diabetic ketoacidosis (DKA) or diabetic coma is a life-threatening condition that develops when there is too little insulin in the body. This is more common in persons with type 1 diabetes. Without insulin, the body cannot use glucose (sugar) and breaks down fat and protein for energy instead. In the process, it produces a poisonous substance known as ketones. If left untreated, diabetic ketoacidosis can be fatal. Help the person monitor their blood glucose levels. This requires conducting a blood glucose test at home using a glucometer. Ask the doctor or nurse to help you buy a glucometer. Your doctor will advise how often the blood test is required. Encourage the person to move around more and sit less. Let them know that they do not have to exercise long and hard to reap health benefits. Short bouts of activity break up prolonged seating and improves fat metabolism. 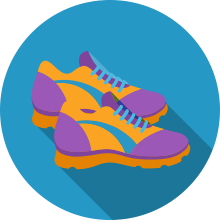 During physical activity, be on the lookout for signs and symptoms of hypoglycemia (low blood glucose). Have some sweets or fruits (e.g. apple) on standby, in case they feel dizzy or weak. 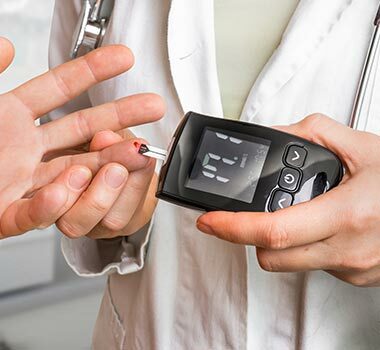 Most persons with diabetes may also have other medical condition(s) such as high blood pressure, high blood cholesterol level, and may be on medication for such problems. Know what medication(s) the person under your care is taking; understand how it works and its potential side effects. Inform the doctor immediately if the person experiences any reaction to the medication(s). As a caregiver, ensure that medication is taken or given (in the case of insulin injections) on time and regularly as prescribed by the doctor. Some people with diabetes are afraid of insulin injections, which causes non-compliance in their treatment. Helping them overcome their fear is an important role you can take on. Foot care is very important in persons with diabetes. The person with diabetes may develop foot problems arising from either nerve damage, also called neuropathy, or poor circulation. When sensory nerves of the foot are damaged, the ability to feel sensations, such as pain, is lost and one may be unaware of a wound or breakdown of skin that can lead to infection. Diabetic foot ulcers are serious because they do not heal well and cause gangrene that can lead to amputation. Additionally, visit the doctor at least once a year for foot examination, and more often if foot problems arise. Whatever your age and condition, eating well has its benefits. A healthy diet and lifestyle can increase your mental sharpness, energy levels, and resistance to illness and disease. Healthy eating doesn’t have to be about bland and boring food. 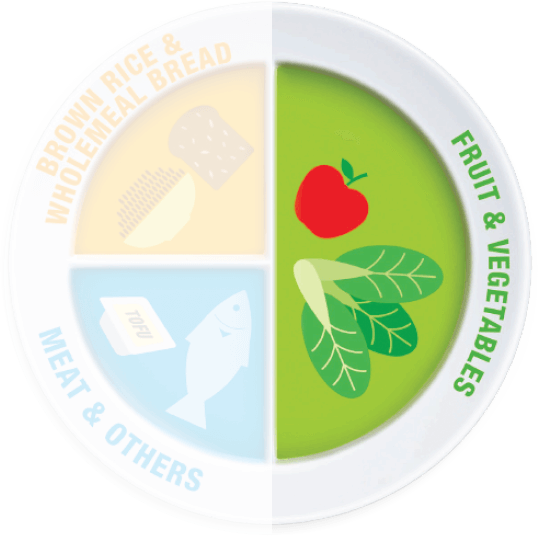 Eating well should be about a well-rounded diet that follows the principles of a healthy diet. It should be balanced, made up of fresh and tasty food, and above all, enjoyed — whether in the company of family or friends. Naturally low in fat and rich in vitamins, minerals and fibre, fruit and vegetables add colour, texture, and flavour to your diet. 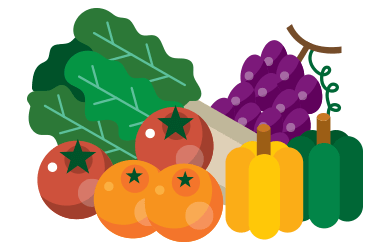 With so many fruit and vegetables in the market, mix and match your choices to get maximum benefit. Remember not to overcook vegetables, and go for whole fruit rather than fruit juices. 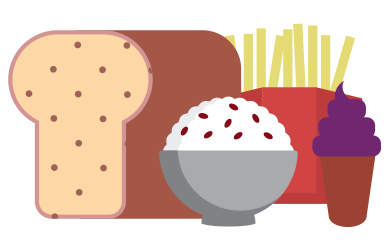 Wholegrain foods such as brown rice, wholemeal bread, and rolled oats contain nutrients such as vitamins, minerals, phytochemicals, and inulin. Not only do they protect you from heart diseases and diabetes, they also help manage your weight as they fill you up and you get hungry less easily. On the other hand, refined grains such as white rice and white bread have gone through processing, which removes the valuable nutrients. They also cause a greater increase in your blood glucose levels after a meal. Protein such as yogurt, cheese, lentils, legumes, nuts, and seeds are essential for growth and repair of damaged tissues. Protein is also needed in the production of hormones and enzymes. 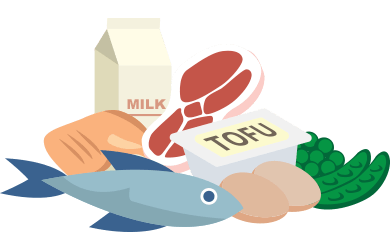 To make a healthier choice, select items lower in fat, cholesterol, and salt. 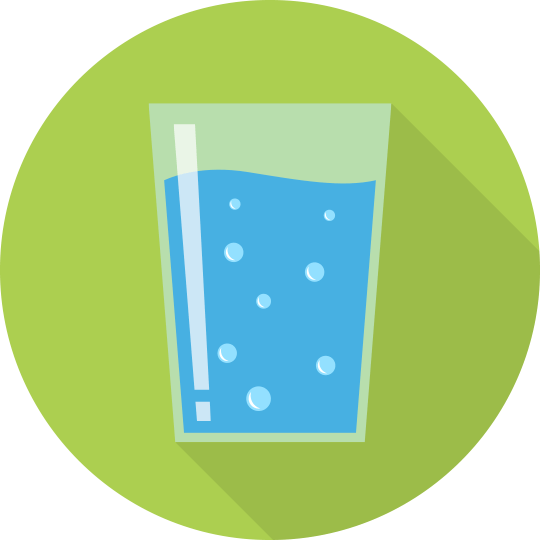 Replacing sweetened drinks with water, and drinking a glass of water before a meal helps you feel fuller and stay slimmer. Drinking water improves blood circulation and prevents muscle cramps so you can engage in regular physical activity and stay healthy. In Singapore’s hot and humid climate, it is important to keep yourself well-hydrated. Aim for no more than two drinks per day if you are female, and three drinks per day if you are male. A standard drink is one can (330 ml) of beer, one glass (100 ml) of wine, or one nip (30 ml) of spirits. 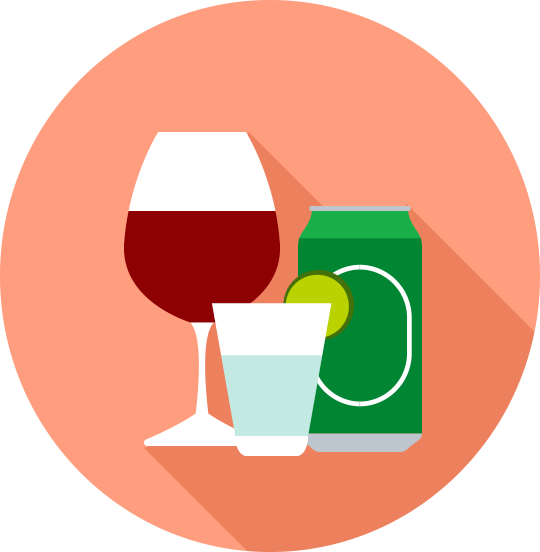 Beer, wine, and hard liquor contain alcohol – a high source of calories. Regular binge drinking adds inches to your belly and increases your risk of diabetes and heart diseases. 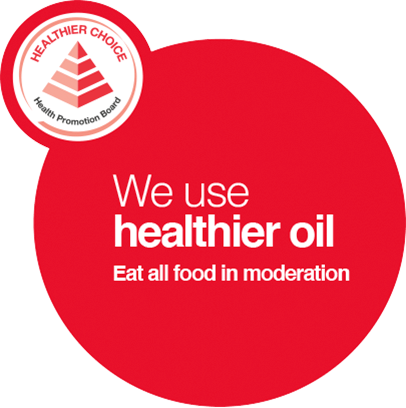 Choose unsaturated fats and oils that are healthier, and reduce intake of saturated and trans fats. 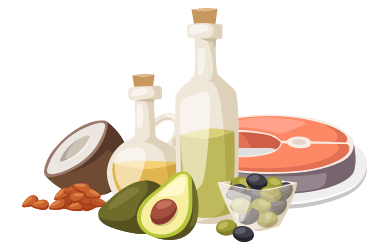 A diet high in fat can contain calories, thus increasing the risk of obesity and diabetes. 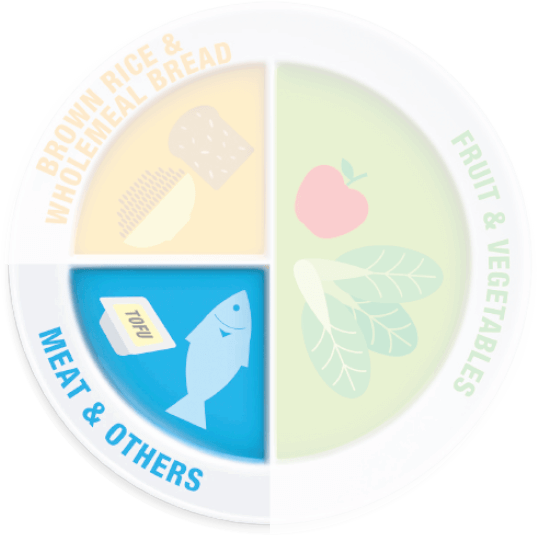 To keep your blood glucose levels within a steady healthy range, choose meals and snacks from each food group every day. The amount of food you consume is just as important as the type of food so learn to control your portion sizes. Before you start planning an exercise routine, take some time to learn more about the variety of physical activities and the benefits they can provide for your body. You will then be able to combine physical activities and get the most out of your exercise routine. 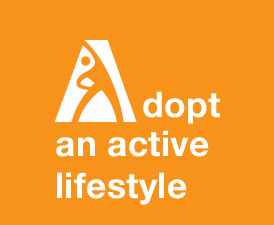 Choose activities that you enjoy and love doing to fit your lifestyle. Besides aerobic activity, you should also engage in activities that strengthen your muscles two or more days a week. Start with lighter weights or fewer repetitions, and slowly increase the weight over time. A repetition refers to a complete movement of an activity, or the number of times you perform an exercise movement; e.g. 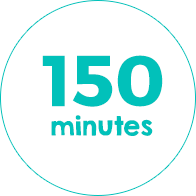 10 sit-ups = 10 repetitions, 15 squats = 15 repetitions. Choose activities that work on different large muscle groups. Intensity refers to how hard your body is working during aerobic activity. FOR YOUR SAFETY: If you have a medical condition, are very overweight or obese and/or have not been exercising for a long time, see your doctor before you start an exercise programme. Being overweight puts you at risk of numerous health problems including diabetes. Here are some things you should know about why it's important to maintain a healthy weight and how to manage your weight effectively. In order to achieve a healthy weight, it is important to first understand the dangers of obesity. Obesity is a condition in which excess body fat accumulates and puts you at risk of a variety of health problems. This excess fat may reduce life expectancy and increase the risk of other health problems - so it is vital to maintain a healthy weight. There are many ways to measure body fat. However, the simplest is by calculating your Body Mass Index (BMI). BMI measures the relationship between your weight and height to measure the amount of body fat you have. The higher your BMI, the higher the amount of fat in your body. Calculate your BMI and keep your BMI in the healthy range (18.5 – 22.9 kg/m2) through an active lifestyle and healthy eating. Are you in the healthy range? 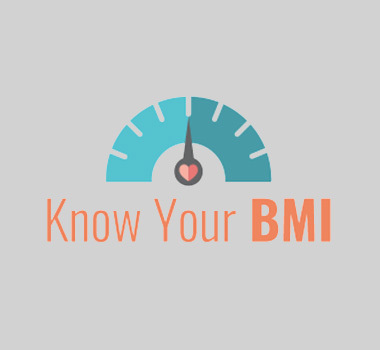 Use this tool to calculate your Body Mass Index (BMI) now to know your health risk. A BMI value of 23 and above indicates that your weight is outside of the healthy weight range for your height. Find out more on how to achieve and maintain a healthy BMI through a healthy and active lifestyle. If they can turn their lives around, so can you. Read real life stories of how others managed to reverse pre-diabetes, take measures to prevent diabetes and changed their lifestyle to battle this lifelong condition. Now, they are enjoying a higher quality of life with the support of their loved ones. You can do the same and lower your risk of developing diabetes by eating right and exercising regularly. Can I Really Reverse Pre-Diabetes? Last year, during a routine health screening, Smitha was diagnosed with borderline pre-diabetes. She took immediate action to reverse her condition. Smitha started a food log to be mindful of her diet. She knew she had to cut down on refined carbohydrates and added sugar. Today, as she continues inspiring her family to eat healthily together, her daughter, Aditi, also creates healthy and tasty recipes that they all enjoy. To take control of your health like Smitha did, start by ensuring you assess your risk of developing diabetes by taking the 2-minute Diabetes Risk Assessment*! With early detection, you can turn your life around too. *The Diabetes Risk Assessment is developed for those between 18-39 years old. If you are 40 years old and above, please see your doctor for a health screening (including pre-diabetes). If you have diabetes, please consult your doctor/dietician before making any dietary changes. To read Smitha’s full story in Tamil, click here. Am I Really Next In Line For Diabetes? Ever since Jade’s father was diagnosed with diabetes, she has been encouraging her father to be more active. The Seah family has since swapped suppers for hikes and walks. This active lifestyle has helped Mr Seah lose some weight and keep his condition in check, so that the family can continue enjoying their favourite activities like travelling together. To take control of your health like Jade did, start by ensuring you assess your risk of developing diabetes by taking the 2-minute Diabetes Risk Assessment*! With early detection, you can turn your life around too. To read their story in Mandarin, click here. 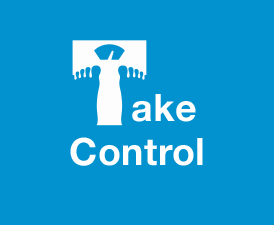 Can I Really Take Control Of My Health? Unfortunately, Alias lost a foot due to complications from diabetes. His family has been supporting him on this journey. They help him with daily chores, prepare healthy meals for him, and keep his spirits up. Azim, his son, also takes time off work to take Alias to his medical appointments. Now, Alias encourages his family to take control of their health by eating healthily and exercising regularly. He hopes that they can keep their weight in the healthy range to reduce their risk of developing diabetes like he did. To take control of your health like Alias did, start by ensuring you assess your risk of developing diabetes by taking the 2-minute Diabetes Risk Assessment*! With early detection, you can turn your life around too. To read Alias’ full story in Malay, click here. Am I Really Aware Of The Dangers Of Diabetes? Like many Singaporeans, Nizam thought he would never develop diabetes, especially not when he was merely 24 years old. In 1996, he was diagnosed with diabetes but took his condition lightly until he had to deal with losing his sight and kidney failure. His understanding was gathered from what little he heard: diabetes was caused by consuming too much sweet drinks and sometimes could result in the amputation of one’s legs. Why and how was not something he bothered to find out. However, when he had to deal with the severe complications of the disease, he realised he had to be more proactive in learning about the disease and how to manage it. In 2010, he was diagnosed with glaucoma and had to undergo two operations for his eyes. That episode was subsequently followed by his kidneys failing and the beginning of painful but necessary weekly dialysis. Nizam’s story is not the first of its kind – an increasing number of Singaporeans are affected by diabetes and are at risk of developing serious complications if they do not actively manage their condition. 2 out of 3 cases of kidney failures are caused by diabetes and almost half of the Singaporeans with diabetes are unaware of their own condition, which means they are not receiving the necessary treatment. Because of his own harrowing experience, Nizam, who is now 47, decided to volunteer as an Outreach Officer with the National Kidney Foundation. In his free time, he makes an effort to go to as many schools as he can to share his story as a diabetic and renal patient. Through his sharing, he wants to bust the misconception that sugar is the only cause of diabetes. While sugar can be harmful, poor dietary habits and the lack of physical activity can also lead to obesity and increase one’s risk of developing diabetes. Nizam also firmly believes in sharing information about pre-diabetes. 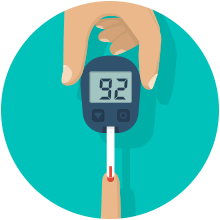 Pre-diabetes is a condition where one’s blood sugar level is higher than normal, but not at a point where it is high enough to be diagnosed as Type 2 diabetes. It is a warning sign of diabetes and a condition that can be reversed with appropriate lifestyle interventions such as regular exercise and a healthy diet. Nizam is passionate about sharing the knowledge that pre-diabetes is an opportunity to make positive changes to reverse the condition and deter otherwise serious complications. He has no doubt that the more people know about this, the more they are empowered to pick up healthier habits or change their current lifestyles. Take control of your health now. Start by finding out your risk of developing diabetes with the 2-minute online Diabetes Risk Assessment*. With early detection, you can turn your life around. Smokers are more likely to develop Type 2 diabetes. People with diabetes who smoke experience more problems with their diabetes control than those who don’t. They are also more likely to end up with diabetes complications. What’s more, smoking damages the blood vessels and reduces blood flow to many organs. So if you have diabetes and smoke, you are at a higher risk of serious complications, such as heart disease, amputation, and stroke. If you do not smoke, continue to stay smoke-free and enjoy the health benefits it brings. If you smoke, make the decision to quit smoking today. The good news is that there is a range of support strategies to help you quit smoking. It is a matter of finding the right one for you. Whichever method you choose, remember there’s no magic formula to quitting. For professional help, call QuitLine at 1800 438 2000. You will be encouraged to know that many people make several attempts to quit smoking before they manage to successfully break free from the habit. So if you fail to quit on the first attempt or experience any relapses long the way, do not give up and try again. Besides causing you to lose focus and increasing the risk of accidents, sleep deprivation has been linked to several health conditions including heart disease, high blood pressure, stroke, and diabetes. Lack of sleep may be associated with an increase in hunger and appetite, as well as obesity. If you experience problems sleeping and it is affecting your personal and work life, see a doctor to rule out underlying medical conditions. The way you think affects how you feel about people, things and situations as well as how you respond to them. The ability to think positive and embrace optimism is linked to many health benefits. It doesn’t suggest burying your head in the sand and ignoring problems you have. Positive thinking simply means that you approach the negative things in life in a more positive and productive manner. Not only does it help you cope better with stressful situations, it also reduces the harmful effects stress has on your body. It is also believed that positive people tend to take better care of themselves. They eat more healthily, get more physical activity, do not smoke, and do not drink alcohol in excess. Being mindful is to be aware of your thoughts, feelings and environment, moment by moment. Instead of harping on the past or worrying about the future, mindfulness brings your attention to the present – helping to clear your mind of mental clutter and focus on positive feelings and thoughts. Take time to breathe in and breathe out, to savour the food you eat, or simply to enjoy the sunset – these are all simple and effective ways of being mindful. Stress, especially chronic stress, can have a negative effect on blood glucose levels. People under stress tend not to take care of themselves. They may drink and eat excessively, exercise less or not have enough sleep. They may forget or not have the time to check their blood glucose or prepare healthy meals. Get screened today. Find out what screenings are best for you and your loved ones. Your Health. In Your Hands. With HealthHub Track by your side, you have everything you need to take control and beat diabetes. Take the right steps and BEAT diabetes. Start by calculating your BMI. 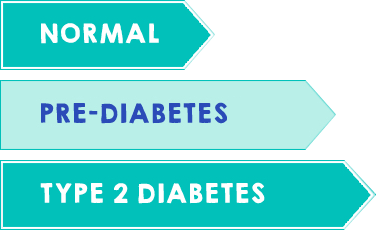 A guide for persons newly diagnosed with pre-diabetes and type 2 diabetes. A guide for the care team of persons newly diagnosed with pre- and type 2 diabetes.